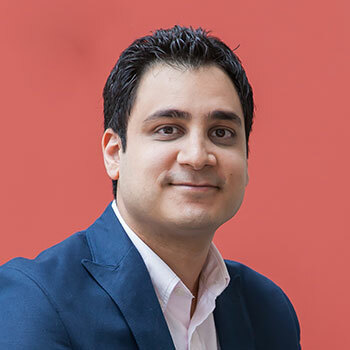 Mohammad Mehdi Jourabchi, a PhD candidate in the Operations and Supply Chain Management program at the Lazaridis School of Business and Economics, is the first Wilfrid Laurier University student to win a Transport Canada Scholarship. Jourabchi received the $6,000 scholarship, administered by the Canadian Transportation Research Forum (CTRF), for his research on environmental transportation logistics. “I am really pleased to win this award and to place among this year’s nominees, each of whom have made incredible contributions to the supply chain field,” says Jourabchi. CTRF encourages graduate students to specialize in the transportation field through its scholarship program, which supports students who aim to be qualified personnel in the transportation profession. According to Environment and Climate Change Canada, the transportation sector was the second-largest source of greenhouse gas emissions in 2016, accounting for 25% of total national emissions. This figure has grown 42% since 1990 and is expected to continue rising. Jourabchi was driven by a desire to reverse the trend of unsustainable practices and the exploitation of natural resources. His award-winning research paper, "Is a Zero-Emissions Logistics Industry Possible? Environmental Gaps in the Logistics Service Provider-Shipper Interface," evaluates how logistics service providers (LSPs) can manage their operations sustainably to produce zero emissions. “LSPs are a key component of the supply chain,” says Jourabchi. LSPs coordinate material handling, warehousing, packaging and shipping products. But Jourabchi is interested in how LSPs contribute a significant amount of emission. His research examines what can be done to eliminate emissions altogether in this channel of the supply chain. “LSPs and their customers (shippers) are increasingly under pressure to reduce the environmental impact of their operations,” says Jourabchi. Leading LSPs are on a path to achieve ambitious carbon-reduction targets, but investment in sustainability is still lagging. Most shippers are similarly reluctant to spend more on sustainable logistics services offerings. Jourabchi says there is some evidence stating that shippers want sustainable logistics, but LSPs are not responding to this ask. As a result, they are sometimes unable to achieve green standards. Jourabchi is researching what it will take to decrease the gap, in the hope for a greener future and efficient, sustainable supply chain management. The hallmark of research at Laurier, no matter what discipline, is how it shapes Canada’s future – from impacting the lives of citizens to informing industry. Jourabchi’s award-winning research contributions are no different. “Mohammad's research provides scholarly insights and practical significance for the transport sector. His findings are also aimed at policy makers who are seeking to align the incentives of private sectors and environmental agencies,” says Araghi. Jourabchi chose Laurier for its highly rated supply chain program. In particular, he welcomed the opportunity to be supervised by Michael Haughton, a Lazaridis School of Business and Economics professor and CN Fellow in Supply Chain Management. Mathematics professor Marc Kilgour has also helped Jourabchi develop the methodological aspects of his research.